In a Nutshell...: Memories in the Palm of Your Hand: Casetify! So I love Casetify. What's Casetify? 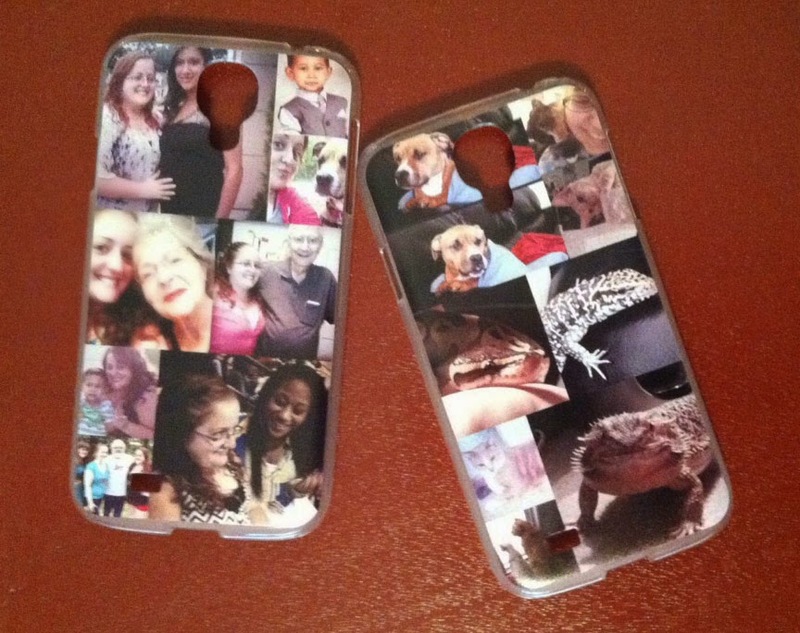 Well, it's a pretty rockin' place to customize cases for your phones, tablets, etc - WITH YOUR OWN PHOTOS! You can cover your iPhone/Android/whatever with your own photos or, if you're not photo-savvy, you can choose a funky layout they have created in their galleries. Not only are you protecting your device, you get to carry around your photos and memories. It's like a travel size photo album! My new case for my new iPhone 6 with memories from 2014! I LOVE that idea. I take a lot of photos (duh) and am an avid Instagrammer and love having them on display wherever I can. In my old apartment, I had a photo wall, which I covered in framed snapshots. That got to be too much. It's hard to display all your memories on your walls - so how about on your phone? So, I started making Casetify cases for my phone (when I discovered them a year ago they were called Casetagram). I made one last year that included my favorite snapshots from the year. I decided to do it again this year as I eagerly awaited the delivery of my iPhone 6 (it FINALLY arrived over 3 weeks after ordering - phew! Talk about anticipation!). Then I thought of something even BETTER. I knew I loved Casetify - I bet others would, too! I decided to make a bunch of my friends and loved ones a case for Christmas. Last year, I had made Red one for her birthday and she loved it. This year, I decided both my sisters and Cody's mom deserved one as well! 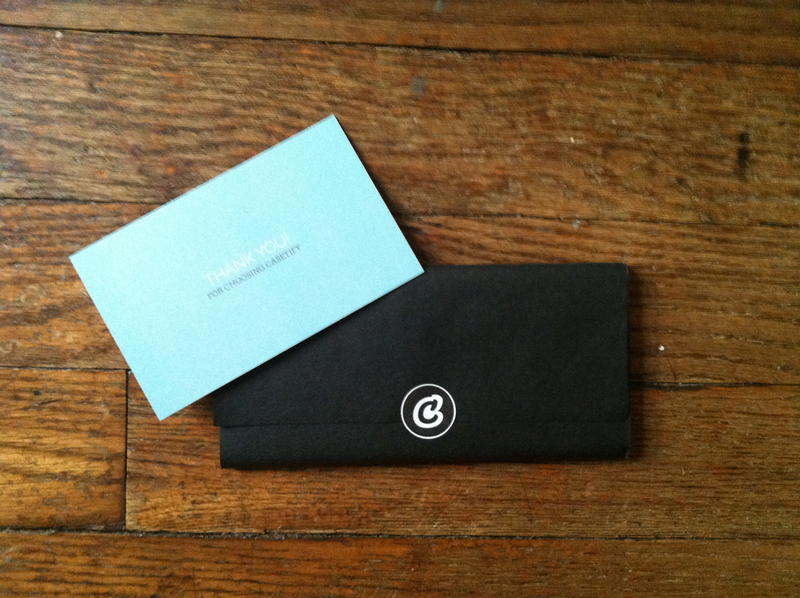 What I love about Casetify is how it allows you to be a sneaky elf and do things like create gifts for people. To access your photos, it has you sign into Facebook or Instagram. Then you go about dragging the ones you want onto the template you chose. This year, I noticed it now allows you to view your followers' and/or friends' galleries - AWESOME! I had easy access to my sisters' accounts so I could create collages out of their photos! That made it so much easier than being sketchy and asking them for their log in info. That would have caused suspicion on their part, for sure! Emma's case and Tory's case! So I got to work and ended up with some awesome gifts to give - my older sister, Tory, has a house full of animals so hers became an homage to her little zoo. My younger sister, Emma, is all about friends and family so I covered hers in both of those things. It was so fun! 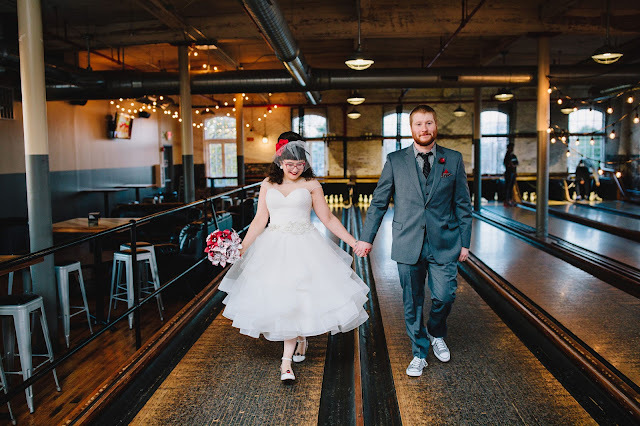 I loved that I had more personal gifts to give them this year - and they loved it as well! 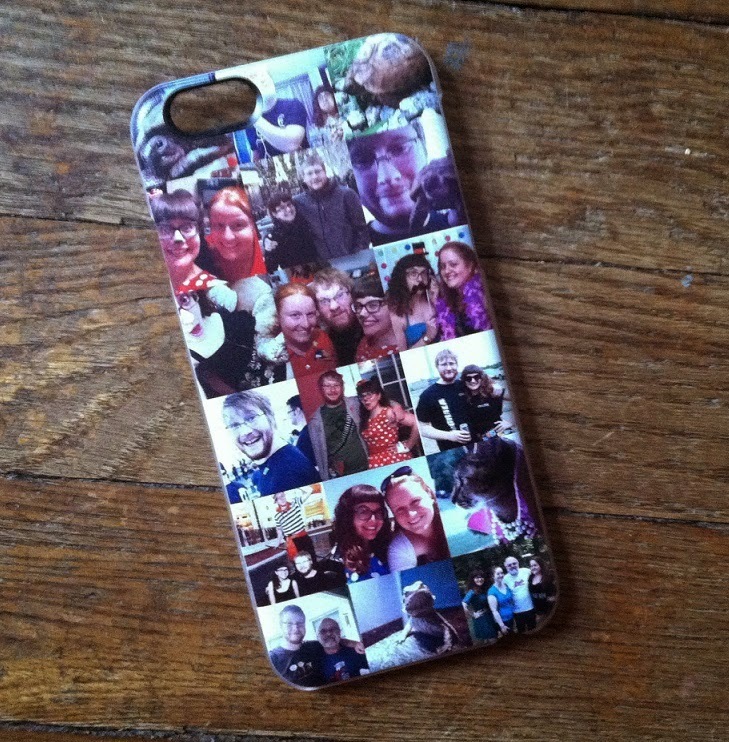 Brenda's new case, covered in memories! Cody's mom, Brenda, got the iPhone 6 earlier this fall and was head over heels with the improvement from her iPhone 4 (as am I!). I knew when she made the upgrade, I had to make her a case. She loves my work with SaraLily Photography and always likes when I get a good candid snapshot of Cody and his little sis, Abby, so I knew she'd flip over a case covered in her babies - of the human kind AND animal kind! I loved making the case for Brenda the most. I think it was because she had so many good memories to pick from! She's a photo lover like I am. She has such great snapshots of her with Abby, her with Cody, and some awesome classics of Cody and Abby together throughout the years. Not to mention some gems of her with her hubby, Dave, and some cuties of her with friends, her dog, JoJo, or her extended family. With all that variety to pick from, I nearly needed a bigger case! 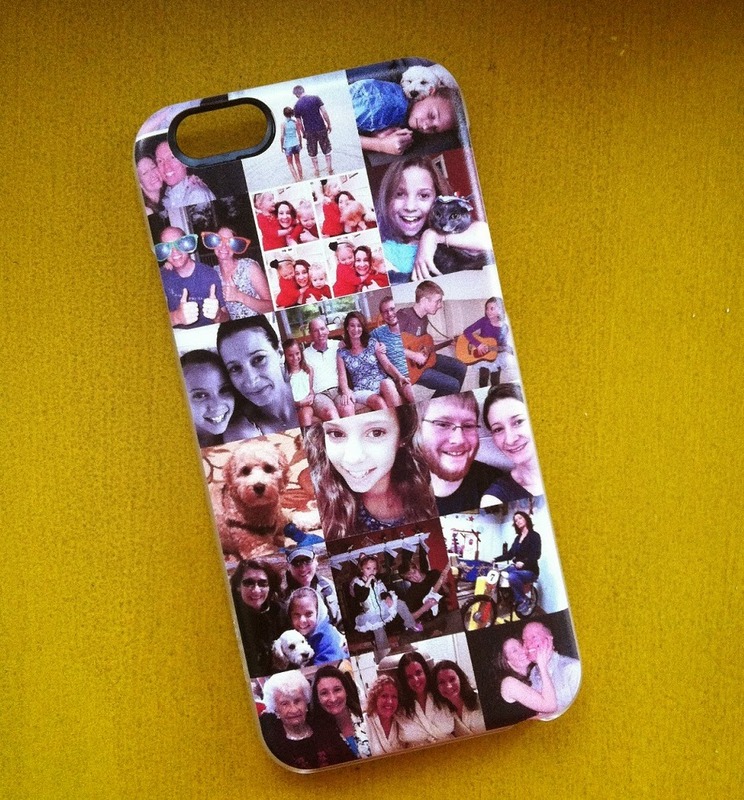 Whether its for gifts for friends/family or a gift to yourself, definitely check out Casetify. I never like cases I see in stores and, true to my nature, I like to stand out and have something unique. Casetify supports that! Who else is walking around with a phone case covered in reptiles and goofy selfies with Cody and Red? NO ONE! What kind of gifts did you give and/or receive this year? Did you get personal or follow everyone's wishlists?